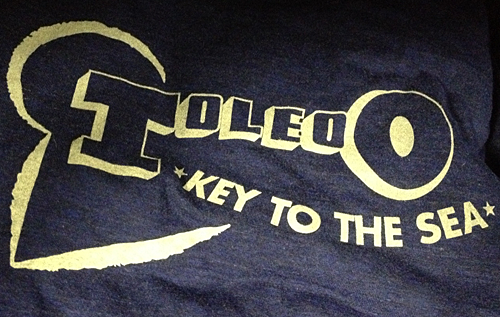 Just in case you haven’t figured it out… Yes, I love Toledo. OK, I’m glad we’ve cleared that up. And, I’m not alone. 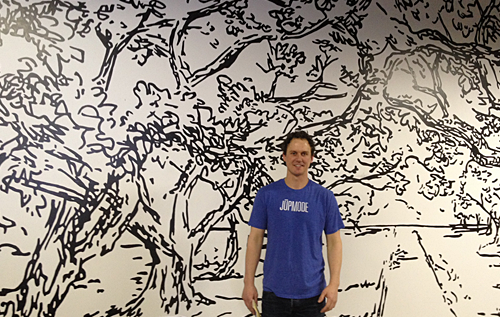 Last weekend JUPMODE – a local tee shirt company that also LOVES this city held an open house showing off some new murals in their working space. 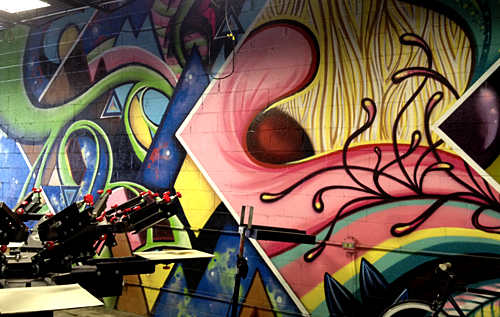 One large wall was flanked by work from Matt Taylor and “Mede”. We also had the pleasure of touring the operations. You may have seen this graphic, which I think may be JUPEMODE’s best selling, (insert Kanye West voice) of all time. The above is THE SCREEN that makes that shirt. 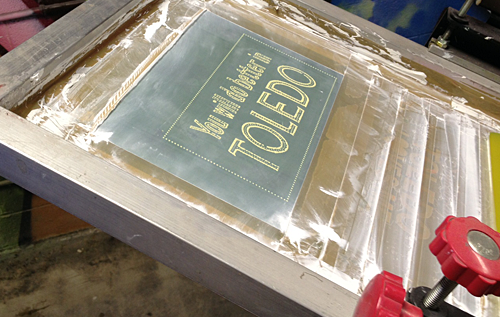 And this tee’s saying may call up memories from Toledo’s progressive roots, as in Toledo was seriously on the forefront of the American Progressivism movement. 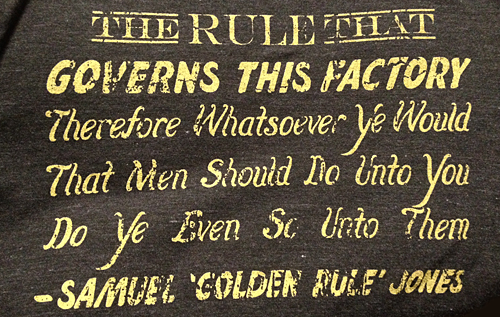 Rock on Samuel “Golden Rule” Jones! Beer lovers might get a twinge in their hearts from this. And graphic designers/advertising folks will love how sweetly the message is presented. *Hugs* for the old days. JUPMODE was founded in 2007 by John Amato. This is him, with his back against a mural by local talent Maura Meyers. Awesome! Just a really lovely mural. And here it is. 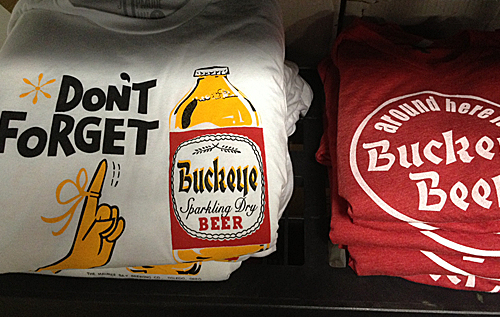 New jack city referencing the wonderful heritage of Toledo, with reverence. And making it work. I guess it’s not very new jack at all… is it.